A preset indexer can let a stepper motor run a predefined number of steps. This number of steps is usual set with a set of BCD switches or by a remote input from a PLC. To start the move there is an "Index" input. To activate an external device the indexers do have a "Ready" or "Done" output. Some units do have an additional "Load" input, to load the move distance in the preset indexer. This will give a faster reaction on the Index command. Of course, the direction can be changed and the there are additional input for Jog, Run and Step, for example to do a manual setup before an index move. 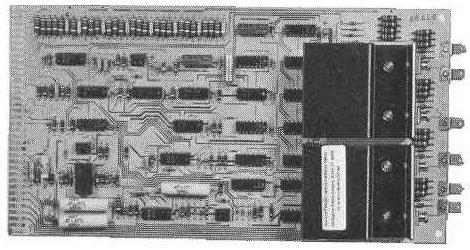 This is a single printed circuit board which provides the translator functions of sequencing and switching logic and also includes an internal oscillator and pulse counting circuitry for complete control of the stepping rate, direction and number of steps taken. 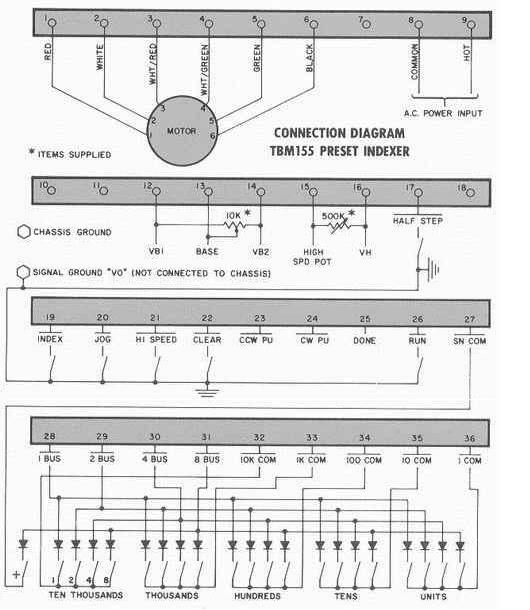 Count insertion is done via external BCD logic switches such as BCD thumbwheel switches containing 5-digits plus direction functions. Other input data includes Index Start, Run and Single-Step Jog. A "Count Complete" signal is issued upon completion of motor motion. The PIM151 requires an external 24VDC, 6 ampere/5VDC, 1 ampere power supply. SLO-SYN Power Supply type MPS3000 or MPS3000X, is recommended for use with thePIM151. The PIM 153 preset indexer module consists of an STM103 translator module with an add-on indexer board. It incorporates the translator functions of sequencing and switching logic and also includes an internal oscillator and pulse counting circuitry to provide complete control of the stepping rate, direction and number of steps taken. The unit will drive the motor in either the full-step (1. 8º steps) or half-step (0.9º steps) modes. Operation in the half-step mode allows finer positioning resolution with no sacrifice in positioning speed. 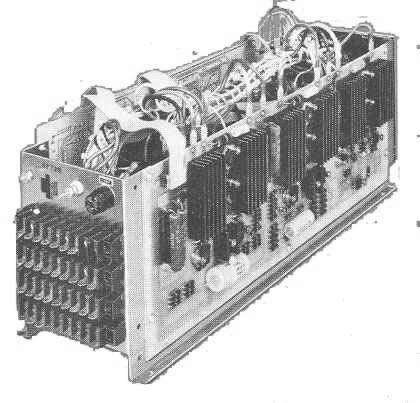 External BCD logic switches (not supplied) are used for count insertion. Switches such as BCD thumbwheel types containing 5-digits plus the direction function are ideal for this purpose. Other input data includes Index Start, Run and Single-Step Jog. A "Count Complete" signal is issued upon completion of motor motion. The PIM 153 requires an external power supply capable of providing 24VDC, 10 ampere/5VDC, 1 ampere. The MPS3000 and MPS3000X SLO-SYN Power Supplies described on page 12 are recommended for this purpose. The TBM 155 is an open chassis unit incorporating a d-c power supply together with the sequencing and logic switching circuits needed for bidirectional control of a motor in indexing and other positioning applications. It drives the motor at rates to 5000 full-steps or 10,000 half-steps per second and provides acceleration and deceleration to assure accurate positioning. Acceleration is adjustable within a 100 milliseconds to 1 second range and deceleration within a 100 to 500 milliseconds range minimum. 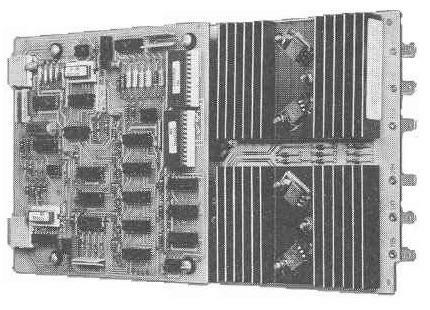 The TBM 155 can provide indexing motions up to 99,999 motor steps, controlled from external BCD logic switches or from a computer or microprocessor. The indexer can drive the motor in either the full-step switching sequence (1.8º motor steps) or the half-step switching sequence (0.9º motor steps). Positioning can be done at base speed or at high speed and jog and run modes are also provided. The base speed range is a to 1000 full-steps or a to 2000 half-steps per second. A TBM 155 preset indexer is adjusted at the factory for compatibility with a specific motor. Be sure to select the model intended for the motor which will be used. See the downloadable manual.